Email your information to the president, who will critique it, and pass it on to the webmaster when acceptable. Let this table be your guide to providing information for publication on the website. Some things are easy to include on the website, others require much work, and some require services that can not or will not be provided by the webmaster. Recognize that this website is the public face of a private group, and is here to provide information about THLU. err on the side of being responsible in what is published. We will not mimic some of the more extreme journalism and media ethics. Positive is good, negative is not; constructive is good, destructive is not. provide external links as needed, but must be skeptical about external links we do not control. we claim copyright for all pages, except those submitted and copyrighted by others. Information here can be used by others only with our permission. or will take forever to get onto the website. to make it compatible with the website. Simple changes can be just typed into the email. (DO NOT SAVE as doc, word, richtext, html, or the myriad other possibilities.). INFORMATION THAT MUST BE DISPLAYED AS YOU HAVE PROVIDED IT. 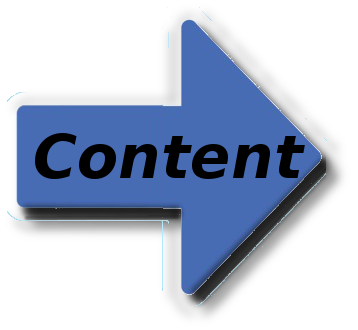 ** GOOD - SAVE YOUR CONTENT AS A pdf FILE TYPE. ie - use 'save as' , and select '.pdf' format output file. **BAD - the windows 'doc' filetype , 'html', 'sxw', or other bloated and vendor specific filetypes; these files can not be uded directly on website. They might be usable, but do not count on it. Webmaster will probably have to reformat or copy the data. IF YOU SENT A FILE containing errors, and want to correct it, please make the changes and RESEND THE ENTIRE REVISED FILE. If an existing pdf file needs revised (eg- an out of date application form) the webmaster usually CAN NOT revise it. or recreate a pdf file fitting your requirements. have captions, or be described in the email so the webmaster can add description of event or people in the picture. or in email attached file of acceptable filetype ( see above ). Discuss with webmaster if you have a whole lot of files to send. KEEP IT SIMPLE: when information on the website is to be augmented or revised, please provide the text differences, rather than a complete final correct version. If you provide the latter, the webmaster will have to br eak it into pieeeces anyway (and mistakes will occur). For example - if one person is to be replaced in a list, provide text like: "for the October hosts, remove charlie smith, and add Sally Brown"
EVENT CONTACT PERSON: every event should have a contact person with their phone and email, so members can get in touch as needed. The default contact person is the president. TIME CRITICAL: If information is time critical, make that VERY clear. PROVIDE A COOKBOOK: If you did something successfully for the club , why not provide a project plan? A checklist for that activity? A list of resources? If / When that activity is again needed, the next person will have a 'plan A' to work from. It does not have to be formal - just information a person needs to make the event better. The webmaster can make a place on the website for such information.